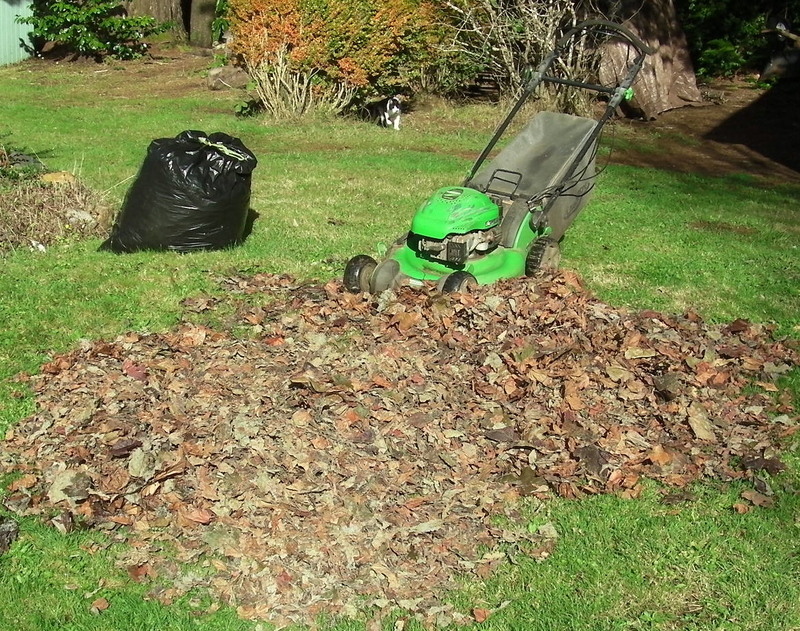 It’s a quick job to shred the leaves with the mower. 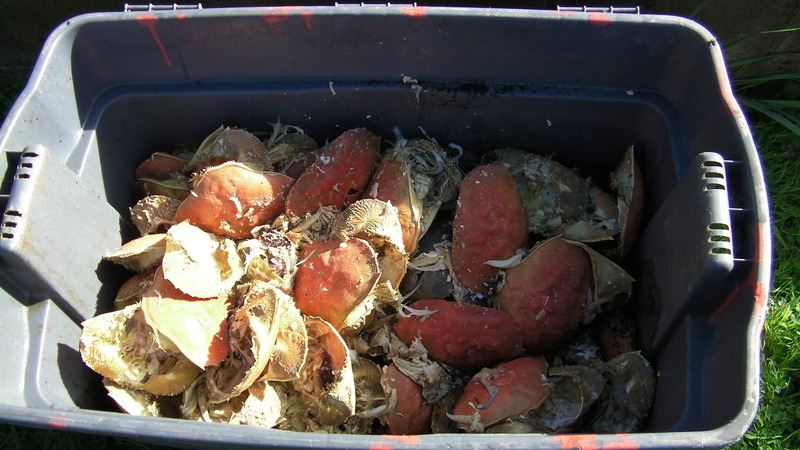 Shredded leaves ready to be added to coffee grounds and crab shell. I get as much crab shell as I want from Tony’s Crab Shack in town. It’s only about 4 miles (6.4 km) round trip by bicycle, my transportation of choice. 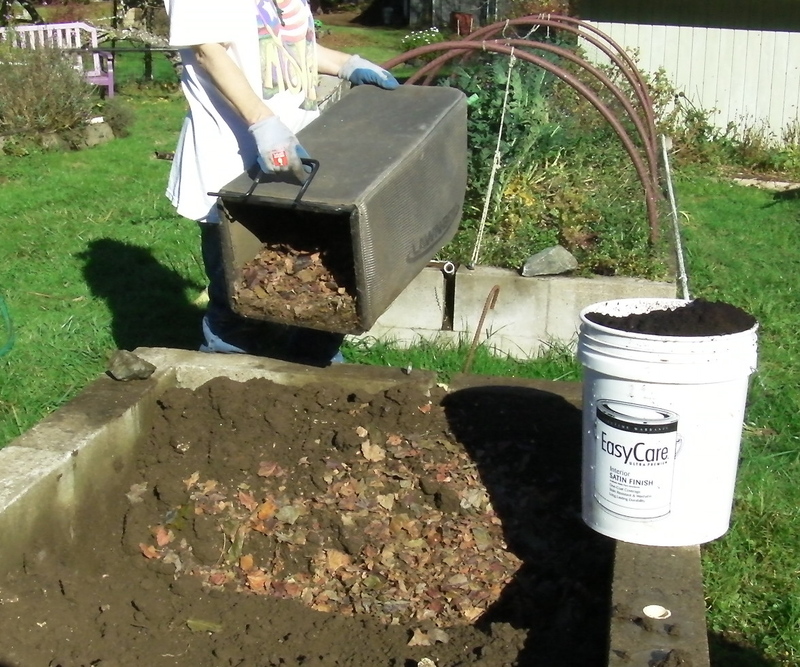 All these things are trench composted into the soil along with kitchen garbage and the odd sunflower stem or comfrey leaves. 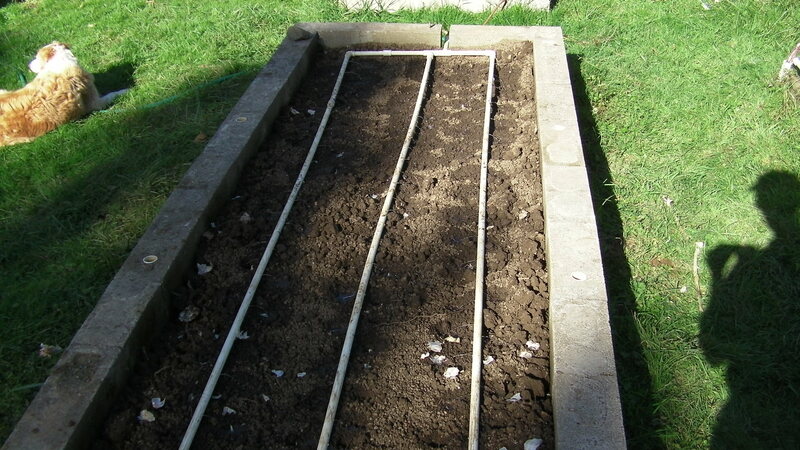 Smooth the soil level and hook the hose to water grid. 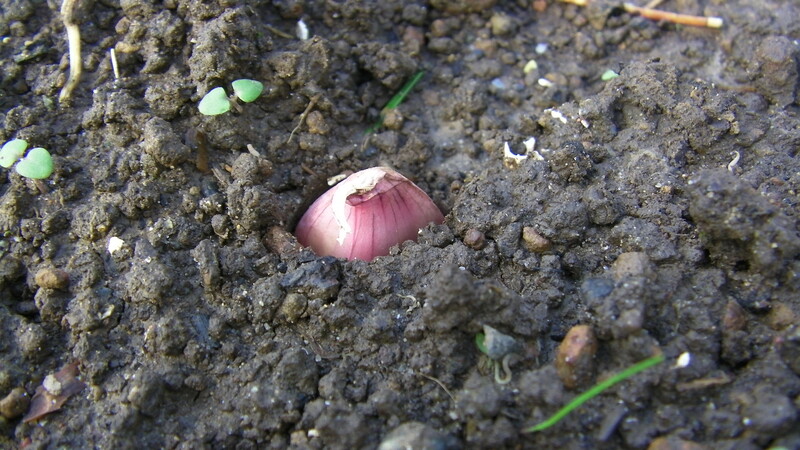 Push garlic clove into soil about 3 inches deep, “hair” end down. This one should be pushed down a little more, but we were just posing it and wanted a ‘handle’ to pull it back out. 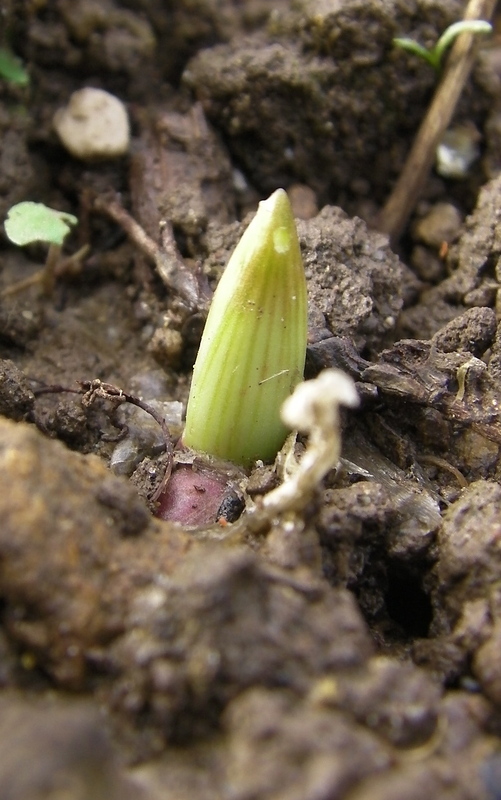 Garlic planted almost a month ago is just starting to show. 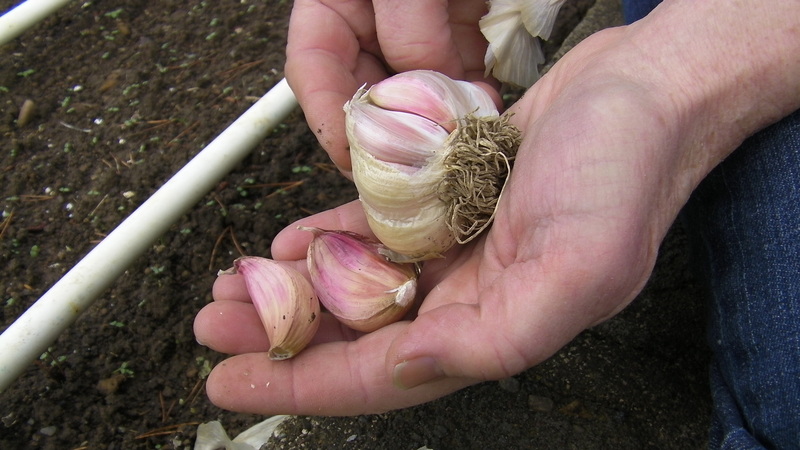 What is garlic good for? GOOD HEALTH and BEE STINGS!